Two today because I’m feeling generous. There is a certain sound that conjures up memories of the 1990’s. Granted, I spent most of the 1990s in a haze of solitude and unemployment. Indeed, I did not really venture much further musically than the compilation album Shine 9. Instead I spent most of the 90s listening to Mike Oldfield, Yes, Triumvirat and whatever I happened upon on my cassette tapes. Those were the days. Days of sitting round, doing nothing. Wasting time. 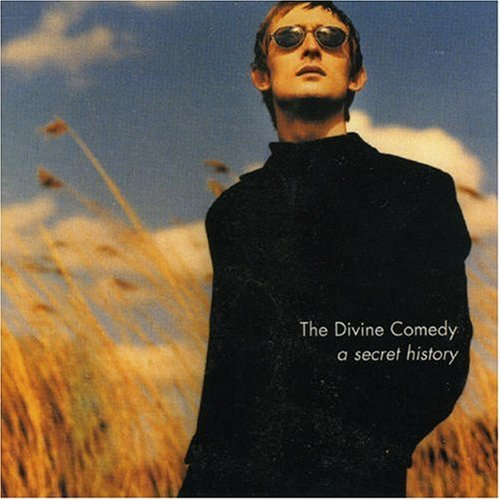 I suspect that The Divine Comedy’s greatest hits, this album, appears in my music library due to Gay Jamie who no doubt put it on one of his many MP3 CDs he wrote for me back in the early noughties. The Divine Comedy are that sound. The sound of the nineties. I’d not listened to this album before I began this project and, apart from a couple of tunes I’d heard on the radio or in other compilations, I’m not all that familiar nor enamoured with the band or their work. I was also surprised by the fact that they wrote the theme tune to Father Ted. So that was a surprise when it started playing midway through the listen. Anyway, I think I’ll just keep the tracks I like off this album and bin the rest.